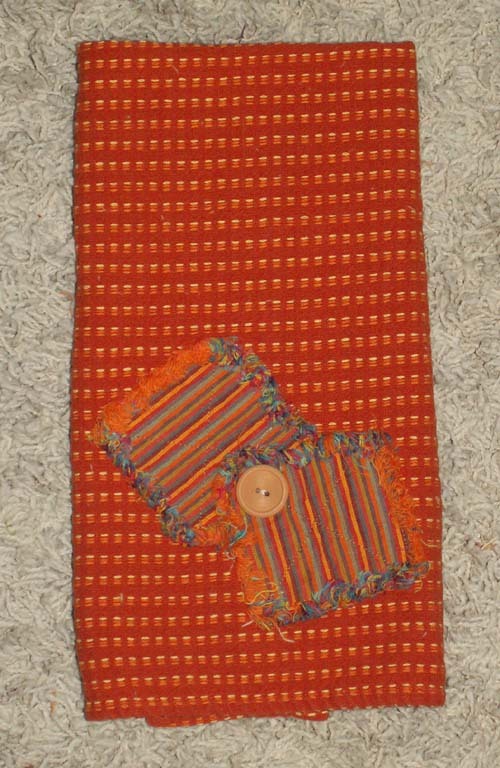 This is a great way to make use of any homespun squares left over from your quilt projects. Just stitch them onto a homespun kitchen towel using a small tight stitch, clip the seam allowances and wash to fray the edges. Embellish or decorate with buttons. Homespun kitchen towels may be found at many gift/antique stores or may be purchased at Jubilee Fabric. Holiday gift towels with holiday embellishments may also be purchased.